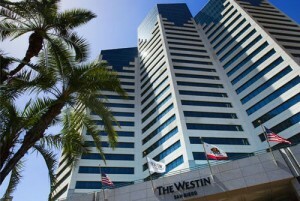 Subcat is offering a $699 scholarship to attend this year’s NYIB Conference at the Westin, San Diego, CA! If you haven’t attended an NYIB (National Youth Involvement Board) conference, here’s your chance—it’s a great forum for credit union youth financial educators and marketers to learn from peers around the U.S. For details on the conference, visit the NYIB Conference page. Scholarship candidates must be current credit union employees. Recipient will be chosen at random. The deadline to apply is Monday, July 8, 2013, 12 p.m. (PST). Scholarship does not include transportation to the conference or accommodations. (FYI: the deadline to reserve your room at a discount rate is Monday, July 8, so scholarship recipient will be contacted promptly by 1 p.m. (PST). To be considered for the scholarship, simply email us through the Subcat Media contact page here. This will be a great place to get ideas to enhance our youth programs!